Five Times Champions, Brazil attending their 21st appearance of FIFA World Cup. 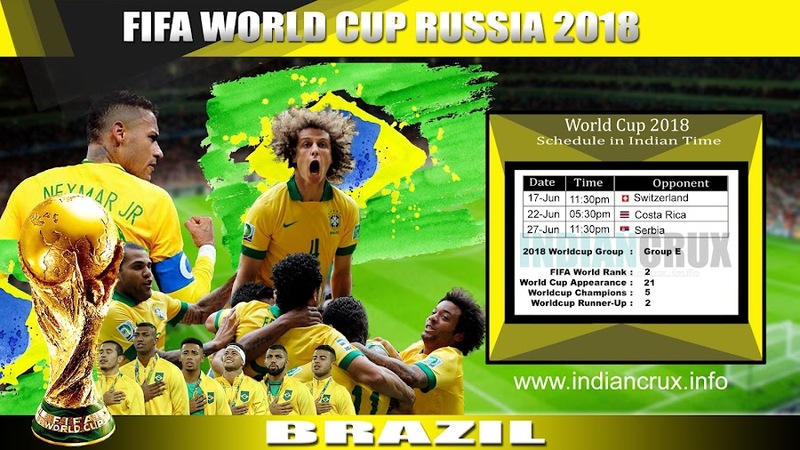 Here is the Brazil Team Schedule and Results at 2018 FIFA World Cup. Downloadable JPG Schedule is attached below. Brazil currently at second in FIFA World Ranking. Brazil reached their lowest ranking in June 2013 (22nd). First International match was against Argentina in 1914 and won by 3-0. The biggest victory was against Nicaragua in 1975 (14-0). Uruguay's 6-0 and Germany's 7-1 are biggest defeat of Brazil national team in all times. 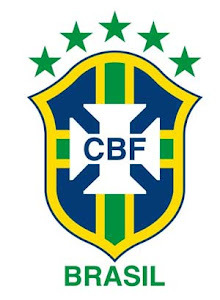 Brazil were the champions of FIFA World Cup in 1958, 1962, 1970 ,1994 and 2002 and Champions of Copa America in 1919, 1922, 1949, 1989, 1997, 1999, 2004 and 2007.